I actually won something! Remember the Babylegs giveaway a few weeks back? Turns out that I won second place, so I get to pick out two pairs of Babylegs for our little one to have when he/she is born!! WUHOO!!! Just waiting for Mel from Our Blessed Arrows to contact me and let me know my options =) Thanks a bunch, Mel – I’m super excited to have won … I never EVER win things!!! 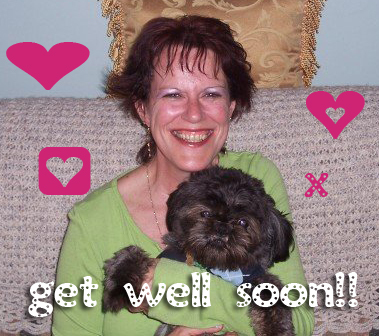 In sad news … my aunt’s surgery didn’t go terribly well. She was supposed to be released from hospital Wednesday morning, and she was finally released today. Apparently there was some internal bleeding and another surgery, but things are looking up now. I feel horrible that I didn’t call home earlier to find out – I kind of assumed my mom would let me know. BAD ASSUMPTION, KIM! Aunt Connie, if you’re reading this, I’m so sorry to hear about the troubles and I’m so sorry I didn’t call and check up earlier!!! I love you and I hope you’re doing alright!! If anyone could join us in lifting my aunt up in prayer, that would be wonderful! … for my Aunt Connie. She is battling breast cancer and is going for a double mastectomy and a total lymph node disection on one side and a lymph node removal/biopsy on the other. I am praying that God would guide the surgeon’s hands, be with her throughout the surgery and comfort her in the recovery period! Her surgery is TOMORROW MORNING, so if you all could take a minute and send up a prayer for her, I would appreciate it! Here’s my belly from today =) It’s definitely grown a bit since last week’s picture … and my belly button is already getting shallower – lol. This week, our baby starts to be able to open and close it’s hands and might begin hiccuping. All the books say I should start to feel better by now, and thank goodness I have! So Brad called me at work on Saturday asking about whether or not we have unlimited Internet up/downloads (ie. bandwidth). I said that yes, I was pretty sure we did. Well, apparently we used to. We got our internet bill this month and it was $30 over what we normally pay. $30!! That’s half a bus pass! That’s almost sponsoring a child through World Vision, that’s another phone bill, that’s … you get the picture. Apparently they’ve capped the bandwidth at 60 GB per month, which most people would never come close to using. In fact, when we looked at our previous internet usages (from last year at this time), they were 4 GB, 6 GB, sometimes 20 GB, but nowhere close to 60 GB. Except this past month. Our usage was 130 GB. Yes. You read that right. That’s bigger than my entire hard drive! When we were talking about how on earth we could have used that much bandwidth, Brad explained that every time you watch a YouTube movie or surf the internet, or read a blog, or go on forums, you’re downloading stuff from the internet. Right. Me surfing the web like I always have a watching a tad more YouTube movies has me using up 40 GB of bandwidth. I believe I laughed. And we shared a good laugh. You see, my darling husband has discovered torrents, which has allowed him to download an (apparently) obscene amount of data (generally, music) in the last month. When he bought his new computer, the amount of hard-drive space he had went up 50%. He now has 1000 GB of space on his computer. (That’s more than 8x the amount on mine … and I haven’t even used half in three years!) He was able to call and get the charges reversed (because Bell did NOT inform us that they were changing their policy). With Turkey Day so near, lets blog about it! How do you celebrate Thanksgiving? Do you cook or go out to eat? Before our wedding, we normally did Thanksgiving dinner with my family on Sunday and with Brad’s on Monday. Last year, because we got married Thanksgiving weekend, we ate at the Inn (it was delicious food!). This year, we didn’t eat Thanksgiving dinner at all, sadly. What has been the best Thanksgiving for you? The worst? I think the best was last year because of the wedding, although this year was pretty awesome because we found out about our little bean =) I don’t believe I’ve had a ‘worst’. First and foremost, God! That He loves me and cares for me and wants to have a relationship with me. Second, for my loving husband who I am LOVING spending my life with!! 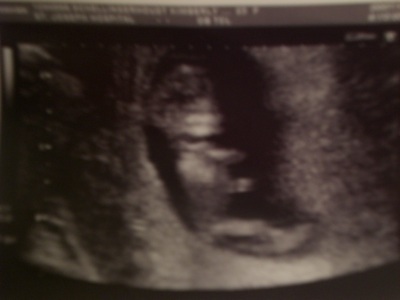 Third, for the miracle of life and that our baby is growing in my womb … I can’t wait to meet him/her. Also, for my family who is so supportive of our choices (even when they don’t agree). And I’m always thankful that we have the ability to go to church freely and go to school, and that we have enough money to put food on our table and a rook over our heads. Any special traditions you do? White meat – especially if it’s my mom’s. She makes the most fabulous turkey and NONE of it is dry. yams, with or without marshmallows? We don’t do yams often, but I’m going to say without. Pumpkin. I’m so sad that I didn’t get ANY!! !